Tommy is the best realtor that we have ever had the pleasure of working with. He met with us and fully listened to what we were wanting in a house. The very next day, we saw our dream home through Tommy’s notification emails. He got us in for a walk-through immediately. We instantly knew that it was the house for us. Even in Colorado’s extremely competitive market, Tommy negotiated and got us an amazing deal on our lovely home. I appreciated not having to spend weeks looking at homes that didn’t feel right or overpaying for what we wanted. Having an experienced realtor like Tommy really made us feel at ease. Even after moving in to our new place, Tommy and his team stay in touch to make sure we’re satisfied. We recommend him to anyone we meet who is looking to buy or sell a home. 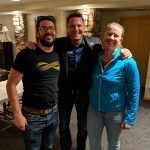 Tommy and his team are like a second family and we are so grateful to have found such an amazing group of people help us fulfill our dreams for a future in Colorado Springs.